Today’s aging population is driven by affluent, computer-savvy “baby boomers” who are increasingly travelling any distance to access healthcare that will MAXIMIZE their quality of life … welcome to Medical Tourism. Currently estimated at $40 billion, the medical tourism industry is expected to explode to $110 billion by 2020. In Canada alone an estimated 875,000 people are waiting for surgery or some other procedure and approximately 300,000 will travel abroad for some form of healthcare procedure. Longer Stays—Medical tourists stay an estimated 30% longer than traditional tourists. Larger Groups—Many medical tourists travel with family, friends, etc. Higher Per Capita Spending—It creates a ripple effect through the whole local economy. Whitehead Agency Group is a leading healthcare marketing agency with over 25 years of specialized health and wellness experience and specialized expertise in health and wellness travel and medical tourism. In addition, the Agency has developed DestiWellness.com, a powerful healthcare and wellness directory and information portal. DestiWellness.com offers consumers and prospective patients a fast, easy and free method to research alternative treatments and procedures and to contact these healthcare providers for additional information. DestiWellness has been developed out of the realization that healthcare has reached a crisis in some countries and that an aging population driven by “baby boomers” will increasingly travel wherever they need to in order to access the care that will maximize their quality of life. 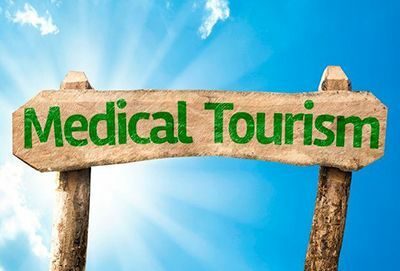 Already, there are an estimated 14 million medical tourists annually. And importantly, it gives participating doctors, clinics and hospitals an opportunity to profit from the boom in medical tourism currently estimated at $45 to $72 billion and expected to explode to grow at a rate of 25% per year. DestiWellness.com offers three unique ways to reach and profit from our growing audience of health and wellness travel enthusiasts: website advertising, paid content and social media.